Intelligent, friendly, alert, and slightly conservative. Never overly aggressive nor shy. 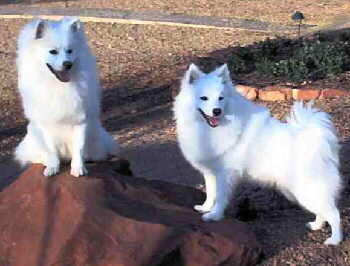 The American Eskimo Dog is an excellent watchdog, sounding a warning bark to announce any stranger. Protective of its home and family, although it does not threaten to bite or attack people. Gentle mannered, sensitive, playful and affectionate. 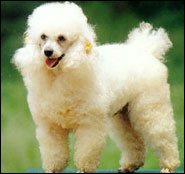 In the BIchon Frise a cheerful attitude is the hallmark of the breed and one should settle for nothing less. Kind and equable, resolute and courageous. 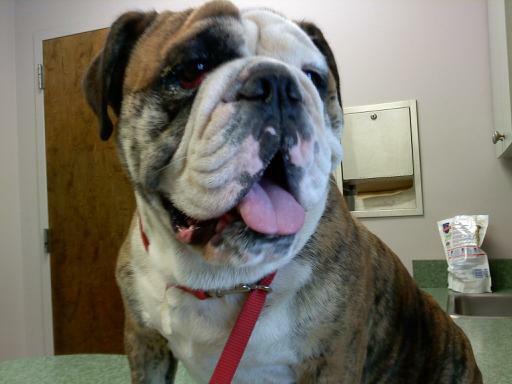 The Bulldog's demeanor should be pacific and dignified. Regal, intelligent, alert, lordly, dignified, scowling, snobbish and sober. The Chinese Shar-Pei is essentially independent and somewhat standoffish with strangers. Devoted to family. Keen intelligence. An independent spirit and innate dignity give an aura of aloofness. The Chow Chow is reserved and discerning with strangers. 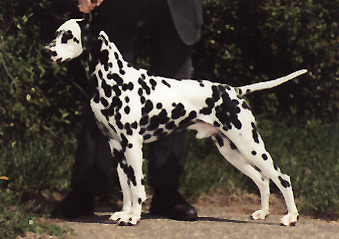 The Dalmation is outgoing and stable, yet dignified. Good temperament. Due to their friendly, patient nature. The Finnish Spitz is friendly and active, lively and eager, faithful; brave, but cautious. Well behaved and comfortable companions, adaptable with an affectionate nature and even disposition. The French Bulldog is active, playful and alert. Lively, intelligent, alert and affectionate companion. 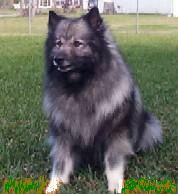 The Keeshond is neither timid nor aggressive but, instead, is outgoing and friendly with both people and other dogs. 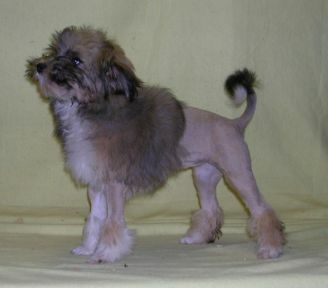 The Lhasa Apso is gay and assertive, but chary of strangers. Lively, outgoing, and inquisitive personality. 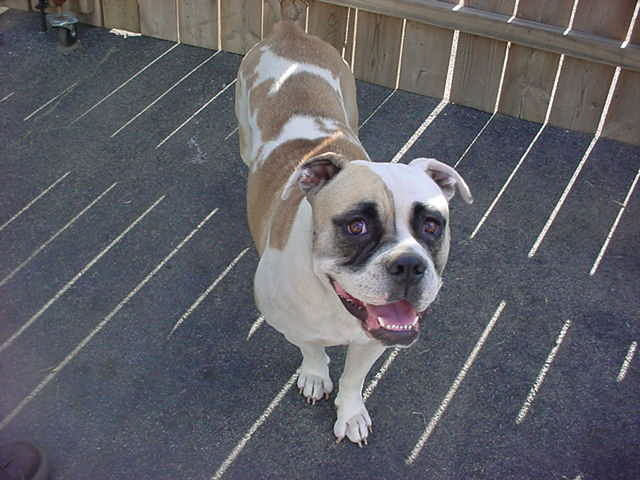 The Lowchen is alert, intelligent, and affectionate with the overall qualities of a loving companion dog. The Poodle carrying himself proudly, intelligent, is very active. An air of distinction and dignity peculiar to himself. Curious, interested in everything around him, and is an excellent and faithful little watchdog. The Schipperke is reserved with strangers and ready to protect his family and property if necessary. Confident and independent personality. Spirited boldness, a good nature, and an unaffected forthrightness, which together yield dignity and natural beauty. 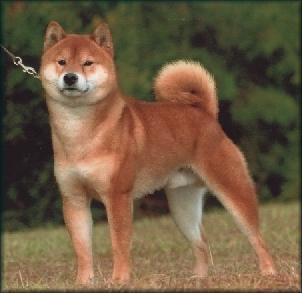 At times the Shiba Inu is aggressive toward other dogs. The Tibetan Spaniel is assertive and gay, highly intelligent, aloof with strangers. 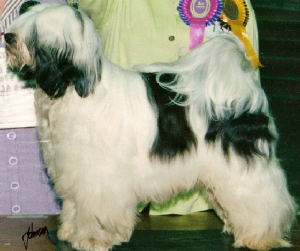 The Tibetan Terrier is highly intelligent, loyal, sensitive, affectionate and devoted.